This is for Day 20. 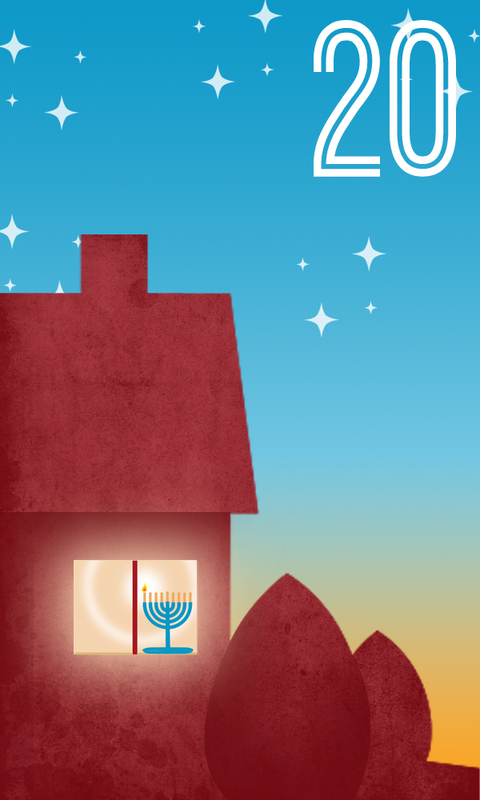 Today at sundown is the first night of Hanukkah. At nightfall the first candle is to be lit. Hanukkah is a Jewish holiday celebrated for eight days and nights. It commemorates the re-dedication of the holy Temple in Jerusalem following the Jewish victory over the Syrian-Greeks in 165 B.C.E. Yes I know I put Christmas Art Calendar, force of habit I guess. But to me, what makes this such a wonderful Holiday season is all the different cultures that have such beautiful traditions at this time of year. And the Jewish celebration of Hanukkah is one of them.